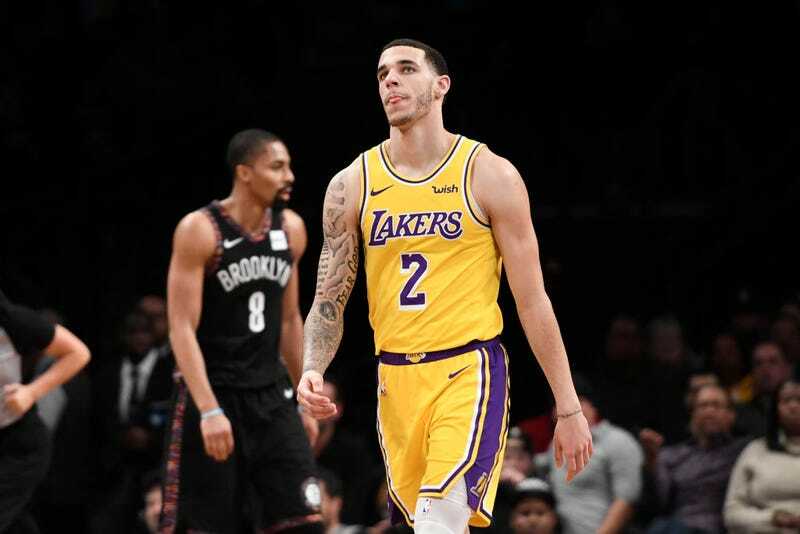 Along with his father LaVar, Los Angeles Lakers point guard Lonzo Ball has severed business ties to Big Baller Brand co-founder Alan Foster after learning of his criminal past along with his failure to account for $1.5 million missing from Ball’s bank accounts. The fallout was first reported by ESPN’s Ramona Shelburne and Paula Lavigne. It is unclear as to what will become of Foster’s 3 percent stake in Big Baller Brand. Shelburne and Lavigne reported that Foster was instrumental in convincing LaVar to create the family brand instead of accepting endorsement deals offered by companies including Nike and Adidas. According to federal court records obtained by ESPN, Foster plead guilty to one count of mail fraud and two counts of money laundering for his part in a scheme that bilked 70 investors out of $4 million. He was ordered to pay $3.7 million in restitution. He was sentenced to 7 years in prison in 2002. In an interview two weeks ago, Lonzo told an ESPN reporter that he was unaware of Foster’s criminal history when the charges were mentioned. According to documents obtained by ESPN, Foster, who became close to the Ball family after his son became close to Lonzo in middle school, questions were raised by a financial adviser to Lonzo and LaVar in October of last year. In an email, Humble Lukanga of Life Line Financial made it clear that Lonzo’s taxes were being held up by a failure to account for $1.5 million. Lonzo voiced his concern to Foster several times, while ultimately deferring to his father. The family only fully reviewed communication from Lukunga this week. Despite initially agreeing to meet Ball at their home in Chino Hills, Calif., Foster was unresponsive until postponing the discussion. Lavar, who was reportedly “stunned,” issued a statement to ESPN.